Let’s face it. Most of us would love to whip up fancy treats to delight our friends at every special occasion, but time may not be on our side. With this in mind, we’ve hatched this sneaky recipe. 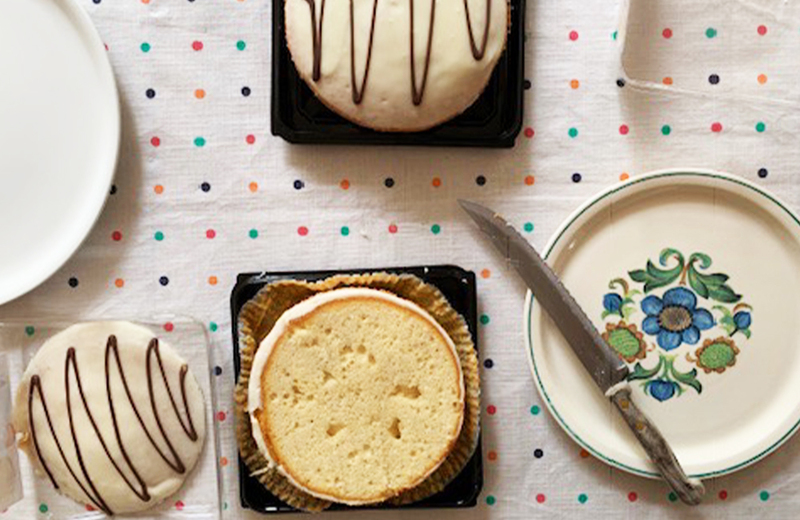 It’s made with two white chocolate mud cakes from Coles and a bit of speedy decorating. 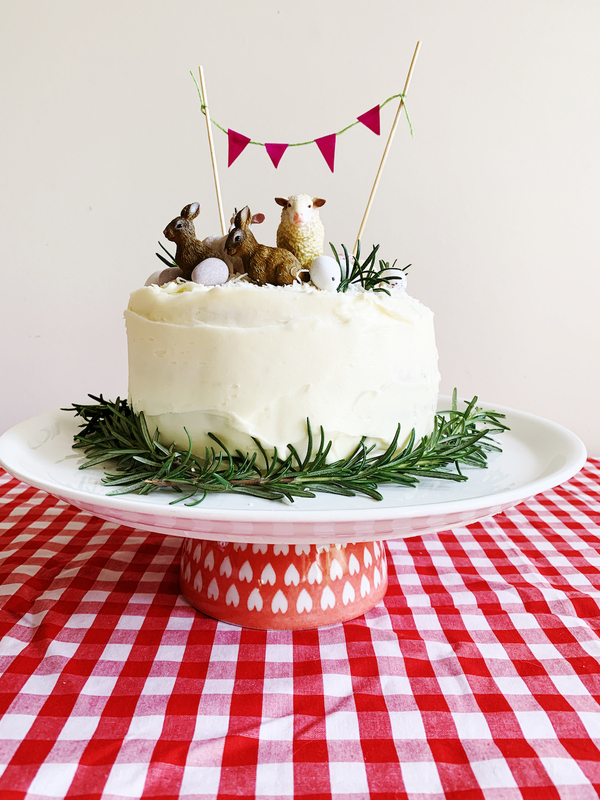 This cake takes ten minutes to decorate. In fact, shopping for the ‘ingredients’ will take longer than whipping it up! Step 1. 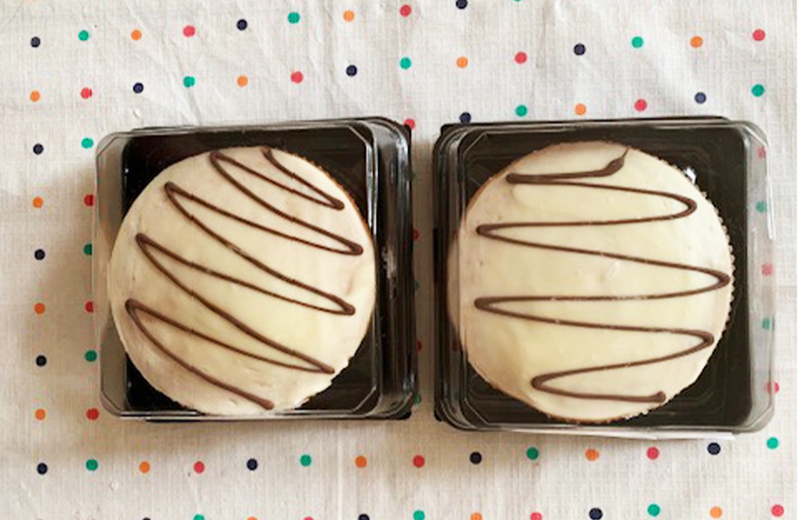 Slice those tell-tale pre-iced tops off each mud cake to create a nice flat surface. Step 2. Pop one cake on the serving plate. 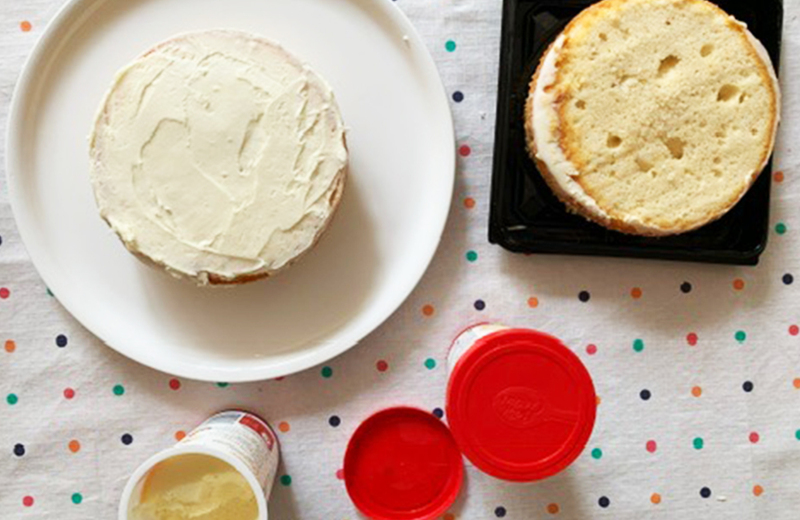 Cover its top with frosting. Step 3. Pop the second cake on top and ice the whole shebang. No need to make it perfect. Just do your best. Step 4. 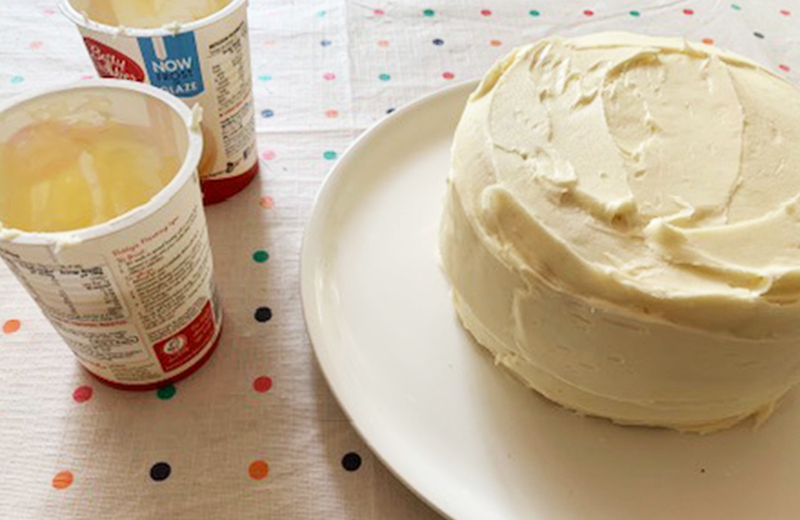 Tidy up any messy icing bits and sprinkle the cake top with coconut. Then add the animals and eggs. 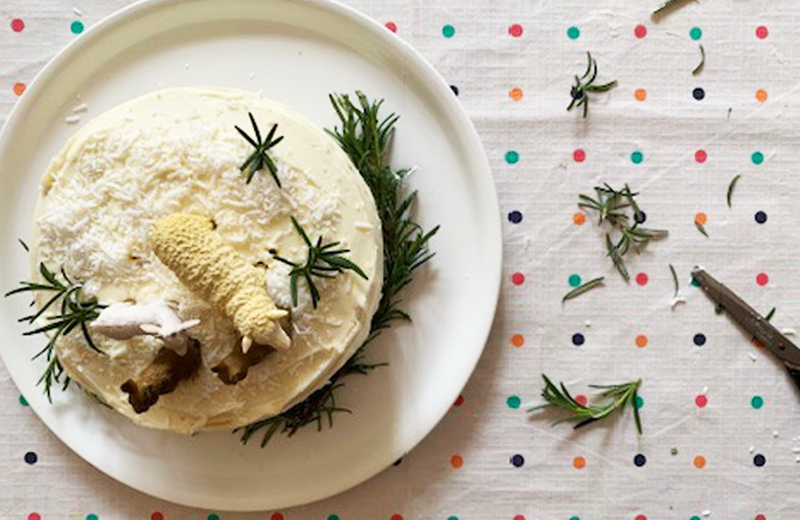 Use some rosemary sprigs to decorate around the bottom of the cake as shown. 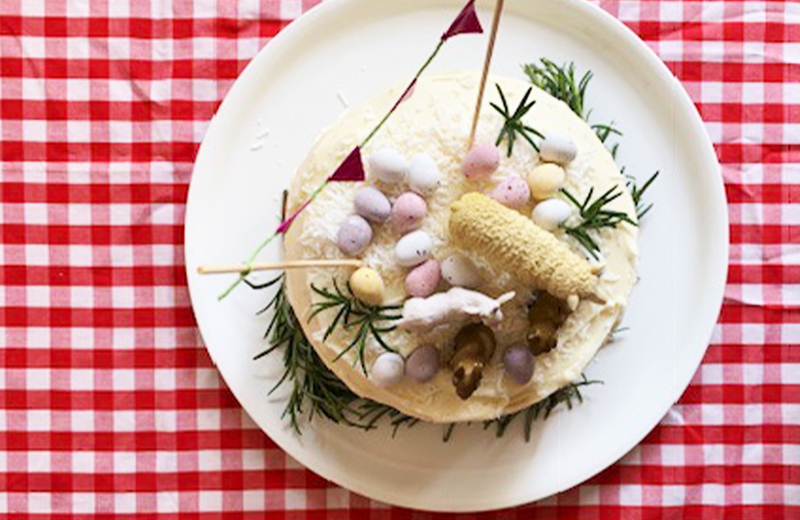 Snip others into tiny ‘bushes’ to put on top of the cake. Marvel at your handwork and get set to impress everyone! 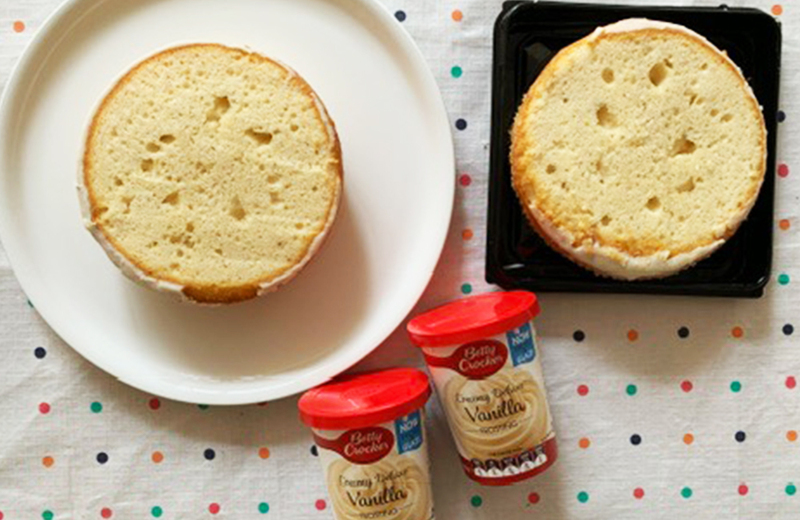 Variations: Cover the sides of the cake with 100s and 1000s or other sprinkles. Sprinkled coloured sugar on top of cake instead of coconut. Cover the sides of the cake with KitKat fingers. Make a milk chocolate version with chocolate mud cake and chocolate icing. Put flowers on top instead of animals and make for any occasion. PS: Yes I did add one extra bunny to the main image because it got lost in my shopping bag and when I found it I wanted to make sure it could hang out with its buddies!